Alaska Airlines, recognizing that sexual harassment has become something of an epidemic that will only be stopped with action, has announced that all employees are to be trained in preventing either themselves, their colleagues, or passengers from experiencing sexual harassment or sexual assault mid-flight. Right now, it may seem like you cannot read a newspaper, watch the news, or use social media without encountering a new sexual harassment case almost every day. If learning the details of any of these cases, or even the sheer volume of them in recent months, is something you find unsettling, imagine how it would feel if you were the victim. Alaska Airlines, recognizing that sexual harassment has become something of an epidemic that will only be stopped with action, has announced that all employees are to be trained in preventing either themselves, their colleagues, or passengers from experiencing sexual harassment or sexual assault mid-flight. 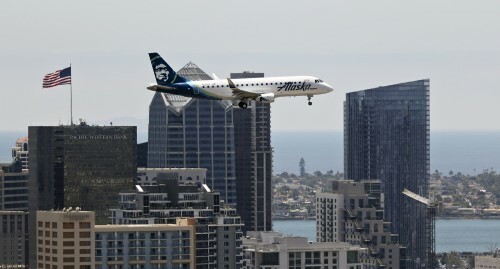 The announcement comes several months after several sexual harassment incidents occurred on board Alaska Airlines flights. Chief Executive Brad Tilden, while making the announcement, stated that he wanted to be extremely clear that sexual harassment or assault had no place in the airline, whether it involved passengers or crew. According to Tilden’s recent statement, the training offered to employees will include a sexual assault scenario, created by a Seattle sexual assault resource center, and RAINN. As a woman in the workplace, chances are you are all too aware that no matter how many qualifications you have earned, and how outstanding your performance is, there is often an element of feeling forced to tolerate what is laughed off as “guys being guys” but, in reality, is sexual harassment. You do not need to simply grin and bear it – you are completely within your rights to fight back against this behavior. Regardless of how your colleague or employer tries to blame you for not having a sense of humor, for dressing in a certain way, or otherwise encouraging their sexual advances, you have the right to work without fear of sexual harassment. When you need guidance and support, a Los Angeles sexual harassment attorney at Rager Law Firm will be ready and waiting to help you put an end to the unwelcome advances. Whatever form the sexual harassment you experienced took, an experienced Los Angeles sexual harassment attorney could help you to put an end to the unwelcome behavior. The specifics of your case will determine what we can do to help you so, to let us get started, schedule a free consultation by calling Rager Law Firm on 310-527-6994 today.